Many sales people seem to be happy to slug it out with purchsing on price, without ever considering the alternative – Sell! Yes, that’s right, actually pick up the phone to key decision makers and sell. To introduce this topic and debate why this happens in my workshops, I often run a team quiz based on Family Fortunes – trust me it works and breaks the ice on a difficult subject. So I start by saying “In a Europe wide survey of sales people, they said there four key reasons for sale people not calling higher. In your teams, come up with your top four reasons in order of significance and then we will play Family Forunes!” You may just want to spend a minute thinking about how you would answer this. After a few minutes (probably about three just to keep the pressure on) we play the game and I do the “ding” and “u-er” (you know what I mean) noises, and allocate points on a purely arbitrary basis. The idea is to get them thinking and discussing the issues and then we move on to why you need to talk to them, why they want to talk to you and how you make the call. I will cover these topics in later posts, and again I would suggest that this is a great team exercise in sales meetings for sales managers to introduce the subject of getting access to people who make the decisions. Please let me know if you agree with my top four suggestions, and any other ideas you may have. 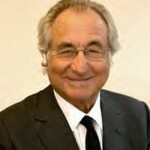 By the way, do you recognise the guy in the picture – no it’s not me – it’s Bernard Madoff, as in made off with the money. This entry was written by John, posted on April 21, 2010 at 11:01 am, filed under Executive Selling and tagged calling high, team energizers. Bookmark the permalink. Follow any comments here with the RSS feed for this post. Post a comment or leave a trackback: Trackback URL.